Whenever I find myself buying brush sets, that contain 10+ brushes, there are always those odd ones which you never touch, collect dust and just look sorry for themselves in my collection and this got me thinking. If I could combine certain brushes from different sets and brands to create my own brush set then I would be set for life. 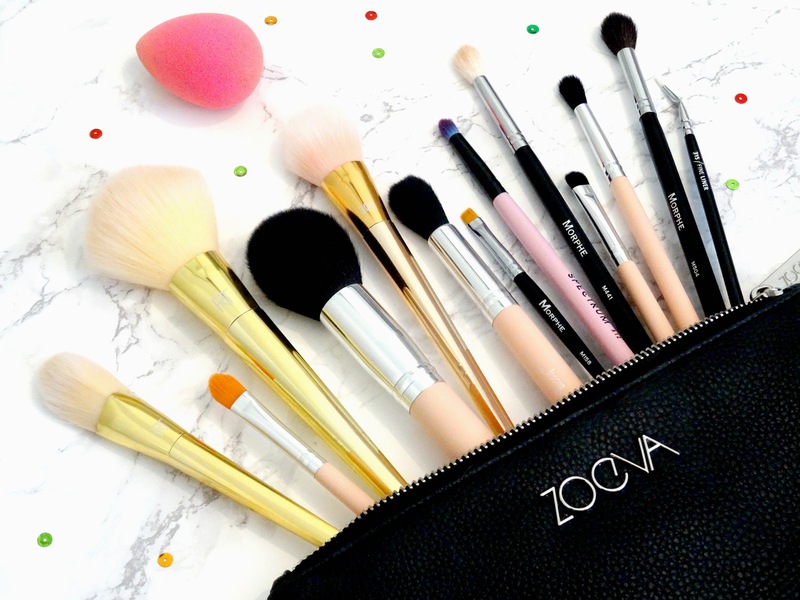 I would have a minimal-ish brush collection! 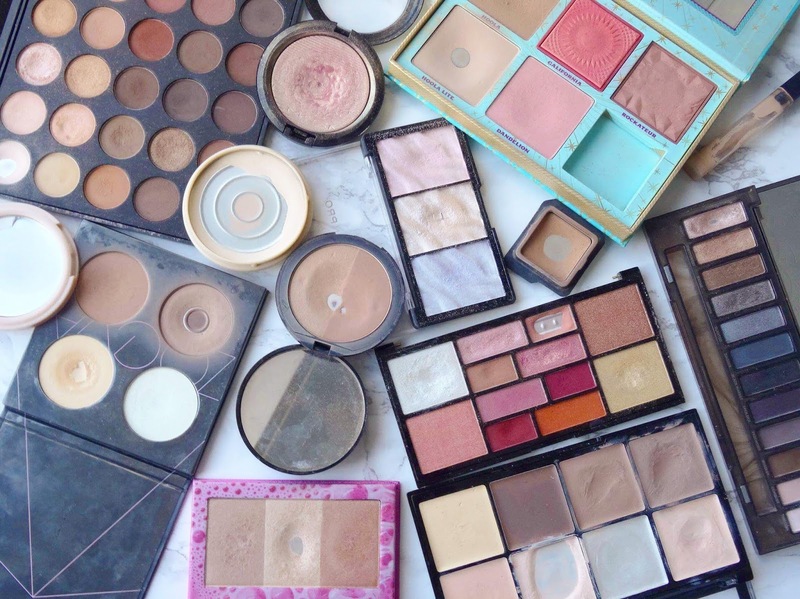 This aside my beauty blender are my favourite way to apply my foundation. Due to its triangular shape, the flat side works wonderfully for distributing the foundation evenly all over my face. Although I do find that this brush does absorb quite a bit of the foundation when you are applying it, nonetheless it's still my favourite. I see many YouTubers using these flat, paddle-shaped concealer brushes and I never understood why they were so good until I used this one and my thoughts completely changed. The synthetic hairs are perfect for applying concealer underneath the eyes, directly onto spots and for carving around the eyebrows. It has perfect precision due to the dense nature of the brush. If you don't own a beauty blender and are still holding onto the so-called dupes then please stop and go treat yourself by buying one, honestly, you won't regret it. This sponge has been a game changer for me. I like to use mine wet, so when I'm dabbing in my foundation and concealer the sponge absorbs any excess product that you don't need whilst creating a flawless, even base. When I first wanted this brush I was astonished at the price tag but now that I've got it I haven't complained once. This is the softest powder brush I have ever encountered, it's tapered, arched bristles dust powder wonderfully to the face without dragging any of the makeup already on the complexion. At first, I was unsure as to what I would use this brush for, but, ever since I've been pairing it with a contour and bronzer I haven't looked back. 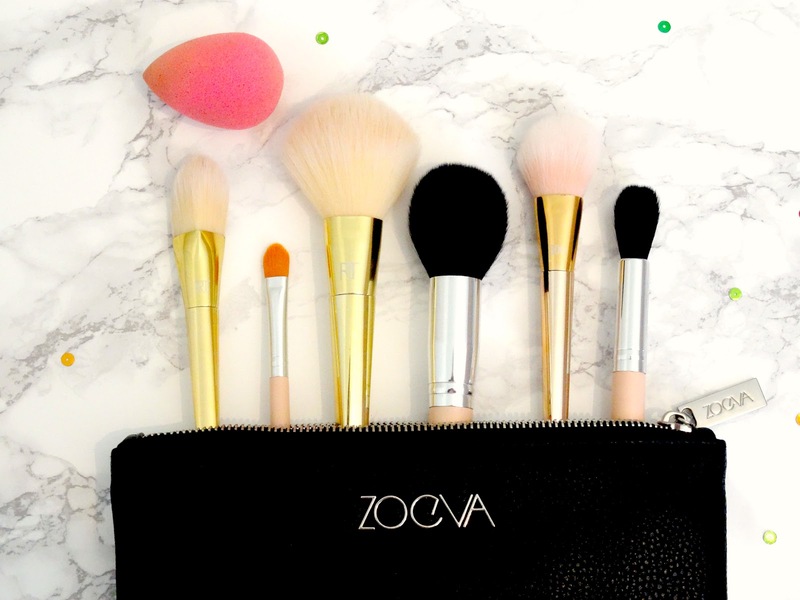 As this brush is tapered, it means it's the perfect size to fit in the cheekbones to give off that effortless dimension and warmth to the face. Its soft bristles pick up product easily whilst blending in with the base products without making the bronzer apply patchily. This is one of those brushes that just does its job without any hassle. Its bristles are shaped perfectly for touching onto the apples of your cheeks to add that flush of colour. Not only this but, the brush is very soft and delicate ensuring you can't go overboard with the product. If you adore highlight then you need this brush in your life. I've never known anything like it, it is mesmerising the way it applies highlight to the skin. Due to it's tapered bristles it applies highlight to the tops of the cheekbones like a dream. Some highlighting brushes can be either too dense or too sparse but this one is ideal. This brush reminds me an awful lot of the Anastasia Beverly Hills one but for a portion of the price! One end there is a spoolie which is brilliant for combing through your brushes before applying the product as it allows you to spot where the sparse areas are. Then on the other, there is an angled brush, perfect for carving out the brows, allowing you to create a fluffy or defined and arched brow. When I used to 'attempt' to do gel liner this was my go to brush due to it's small yet defined bristles make it easy to create a small liner on the lid. As the brush handle is angled, it allows you to be able to hold the brush without getting your hand into awkward positions as well as not having the issue of your view being obstructed when you are drawing. I don't think I'll ever go back to using a normal brush. As far as shader brushes are concerned, they are a staple in every brush set. With its soft synthetic brush hairs, it packs product onto the lid without any hassle. This brush is slightly arched, which is what I like about it, as it means I can apply pigments into the inner corner of my eye precisely. I've had a love-hate relationship with many pencil brushes but I always find myself going back to this one, not just for its pretty design. Its tapered shaped bristles fit perfectly underneath my eyes allowing me to get a precise application of shadow. Not only this but it's also great for creating definition within the crease of the eye. I have so many blending brushes, I can just about count them all on two hands and this one has still become one of my favourites. This brush has lovely long, wool bristles which make blending simple and effortless, especially as the bristles aren't particularly dense so they can work well on the shadows. The tapered shape of this brush makes it easy to blend shadows and create that soft, seamless look on the eyes. This brush is denser than the previous blending brush I've mentioned which is why it is so unique. 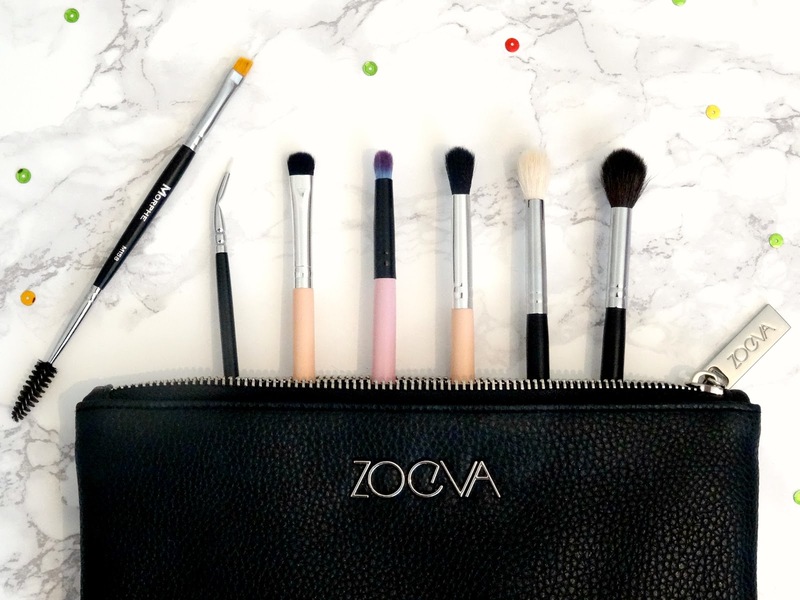 The white bristles allow you to have a gauge on exactly how much product you are picking up whilst allowing you to accurately blend the shadow out. As the name suggests this brush is ideal for the crease due to its size and shape. We all know that you can't have a completed eye look without having a good old blend over with a large blending brush to ensure that every shadow you have applied blends seamlessly in with one another. I use this brush to finish off all my look as well as using it on the outer eye look to soothe a harsh dark look. There we have it, my ultimate brush set. A handful of these brushes I've mentioned today are featured in the Jessup 15pcs Pink and Silver Set* which retails for an amazing $20.88; that is less than $2 per brush! I've been loving all of these brushes and cannot stop speaking highly of them, you need them all, honest. Thanks for reading.